During the summer we love to go on Saturday adventures to nearby beaches in our sunny state of Florida. My husband does all the planning. I do most of the packing. The kids just hop in the car. Then we are off. After rerouting a bit we ended up at the Vilano Beach Pier. Since it was still raining and we girls didn’t want to get wet (even though we were wearing our bathing suits and planning to swim at the beach) it was nice to have a covered area for Mylie to play and for me to take pictures while the boys explored the mini beach around the pier and fished. Mylie clearly wasn’t thrilled about the picture taking part, but the boys didn’t mind the cold rain one bit. It was also great that there were semi-decent bathrooms right there too. I do believe Vilano is my favorite spot. It is a quiet little area that is slowly starting to revive itself. The pier overlooks the intracoastal, which is calm and beautiful, though not so much on this day because of the weather. The boys were in heaven fishing and catching crabs hiding in the rocks while Mylie drew a lot of sweet attention from passers-by with all of her people (who you will see again on other adventures) and she even made a friend. There was also a fun shop at the St. Augustine marina (not pictured) that the boys enjoyed walking through and they even picked out a new crab net for future adventures. It wasn’t our typically wet beach day. We prefer the surf and sun to the rain, but it was wet and fun all the same. 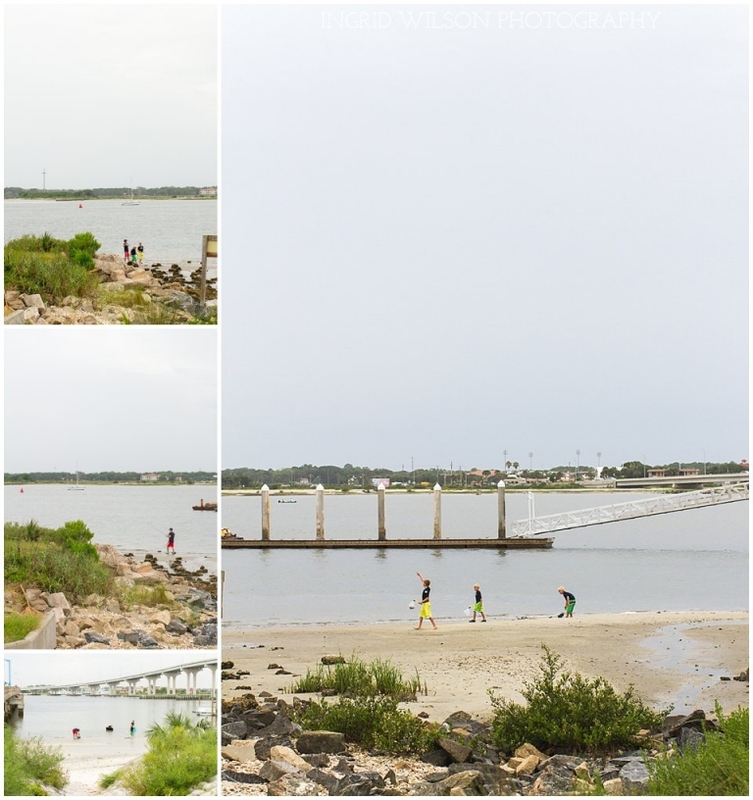 This was just the beginning of our Vilano Beach adventures and I will share more about our other visits there soon. Meet Grant. He is our resident fishing expert. He will be chiming in on the quality of the fishing throughout our adventures.